Juveniles SPIRIT OF CHEROKEE, MULGA THUMPER and GLOBAL CHOICE will step out at Ipswich tomorrow in their first assignments as three-year-olds. 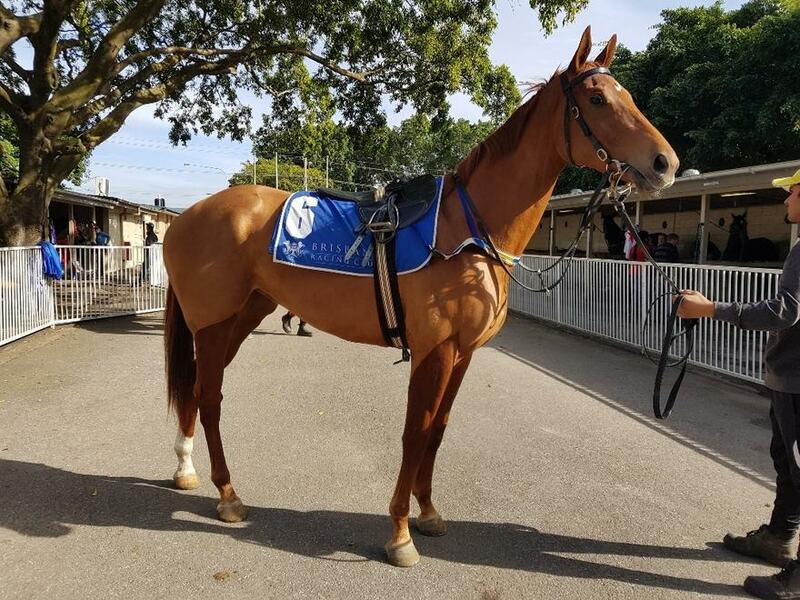 SPIRIT OF CHEROKEE resumes for the stable in the QTIS 3YO Colts and Geldings Maiden Plate (1200m) looking to build on a recent barrier trial win at Doomben over 840m, while MULGA THUMPER lines up in the same event after a first-up fifth at Toowoomba over 1200m on July 7. GLOBAL CHOICE takes her place in the QTIS 3YO Fillies Maiden Plate (1200m) off the back of a first-up third at Ipswich on July 20, where she finished 1.7 lengths behind REAL ESTATE. TRAINER COMMENTS: "There looks to be a bit of speed out wide but if he jumps cleanly, he'll roll forward and give himself every chance to win or run a terrific race from that draw. If the race pans out the way we hope, he's certainly going to be there at the finish and be one of the main players in the race." TRAINER COMMENTS: "He's going very well and I'm quite happy with the horse, he's been quite sharp in his work and he's put in a couple of nice solid gallops since his last run. I'm very happy with him going to the races tomorrow, he's just drawn a little sticky (barrier 8) which it's not the best draw for him around Ipswich. I'm just going to instruct Mark Du Plessis to have him where he's comfortable and just let the race unfold. If he can get a nice run, I expect him to finish his race off very well and I wouldn't be surprised to see him run a cheeky race for us at odds tomorrow." TRAINER COMMENTS: "She's drawn a perfect barrier tomorrow and I expect her to be very hard to beat. There is a short priced favourite in the race but she's improved nicely from her first-up run and I expect Ronnie to be able to be positive, either leading or box-seating. If she gets the right galloping room and the right run into the race, she's certainly going to be hard to beat."